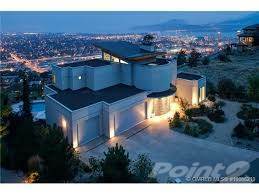 I am interested in 2568 Klo Road,, Kelowna, BC. 2568 Klo Road, is a 5505 square foot Farm For Sale for sale in Kelowna, BC V1W4A5. It has 5 beds, 4 baths and was listed on Ovlix.com since April 4, 2019 by Premier Canadian Properties for $2,599,000. Listing agent: Kara Rosart. The average price for similar 2568 Klo Road, real estate listings - $1,050,769 which is 80% lower than $5,335,800 for Kelowna, and 51% lower than $2,135,556 for British Columbia. Comparable nearby homes are: 2850 Old Vernon Road,, 5040 Lakeshore Road, 1325 Mckenzie Road, 1001 Westpoint Drive,, 2834 Belgo Road,. What's near 2568 Klo Road,, Kelowna V1W: Boston Pizza, Zaru Sushi Japanese Restaurant, JOEY KELOWNA, Rose House of Winery, Hansen's Classic Pizza, Shoppers Drug Mart, Okanagan Adventist Academy, Tim Hortons and Cold Stone Creamery, Wild Apple Restaurant & Lounge.